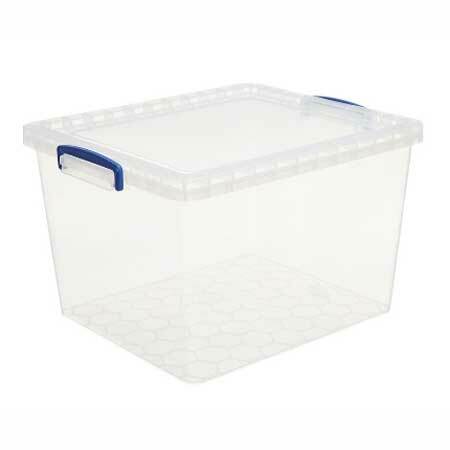 Really Useful Storage Boxes 33.5L nestable clear storage box simply fits inside another box when not in use saving 90% space but stacks when the lid is fitted on the box. Each box comes complete with lid which is secured to the box using locking handles. 285mm high x 385mm wide x 470mm deep manufacturered in clear plastic.